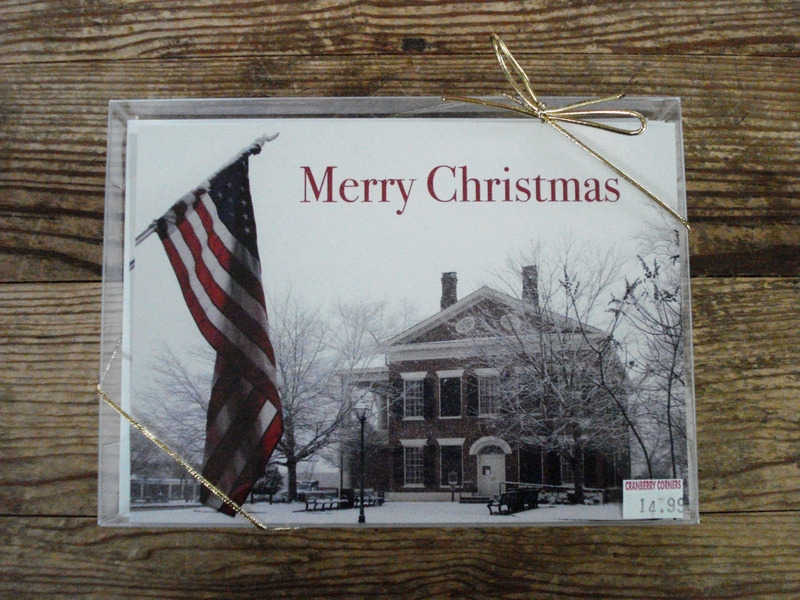 Exclusive to Cranberry Corners - Jack Anthony's Dahlonega Christmas Cards! Each box of 12 cards contains one 5x7 signed image of the original picture - suitable for framing. This year's card features stars Dahlonega's historic Gold Museum, proudly waving the flag.